Tue - Sat: 1 - 7 p.m. 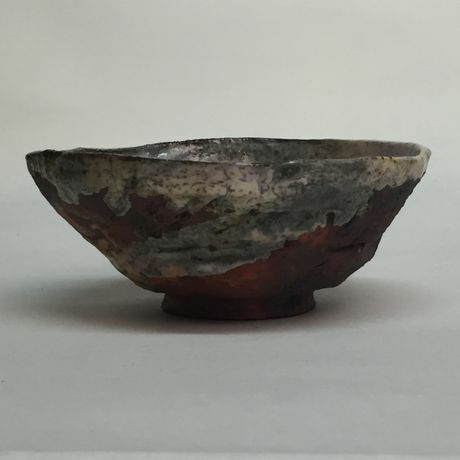 Currently, the gallery welcomes the opportunity to undertake an excursion into yet another genre, as with the present Raku exhibition by Cornelia Nagel, which concentrates on the ceramics by the Raku - master. Holding Cornelia Nagel’s raku bowls and pots in one’s hands is tantamount to a firework of sensations. Even earlier, at first sight, one is overwhelmed by the shapes, colours, the texture and the interplay of the opaque surface and the shiny glaze, mostly embellished with a play of craquelure. Despite their surprising size the raku tea pots rest comfortably in the hand, which is a good prerequisite for the tea ceremony, when the tea is stirred with a tea brush until foamy, the fingers grasp the vessel; the fingertips explore the surface, gently touching and caressing the unusual surface, and the vessel is turned in the hands and touched from all sides. The surface of some of these vessels is obtuse, almost rough, but the rim is always smooth and kind to the lips. There are products, the haptic appeal of which is smooth, despite their chapped and raw surface. Only the depressions and indentations on the surface let feel the energy spent on the growing shape by the artist. 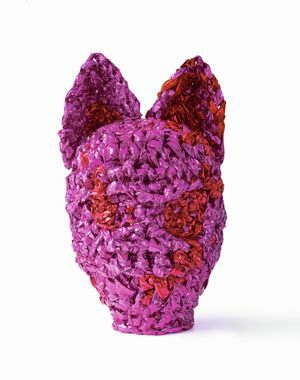 However, is it merely an artefact and expression of an idea, an implemented vision? Certainly not! The manifold vessel shapes – which can even be grouped – seem to obey other rules or impulses. They emerge in the process of making, far from any fixed plan. Cornelia Nagel produces a basic form for every dish; no side resembles the other, the orientation of the vessel wall varies and the structures are manifold due to the working process. 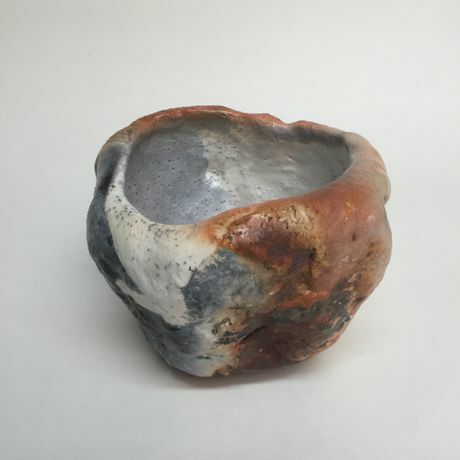 There are softly rounded angular vessels or circular forms seemingly “thrown out of sync”. They are masterly balanced, negating symmetry, and rest on one foot, which is not necessarily centred but holds the bulging volume in balance, physically as well as visually. The rim is rarely uniformly high, forming hills and valleys: in one’s mind’s eye one is literally scanning it to find a place for lip contact. The visual and haptic encounter with the vessels is even perfected when regarding the insides, which generate a further sensual play. Rarely is the surface monochrome; often is there another adjoining colour, one time as a contrast, another more subtle or nuanced, but mostly as a discreet contrast to the outer appearance. The decent effect is often even heightened through a delicate crazing or a fine dotted pattern. is: “let it happen”! 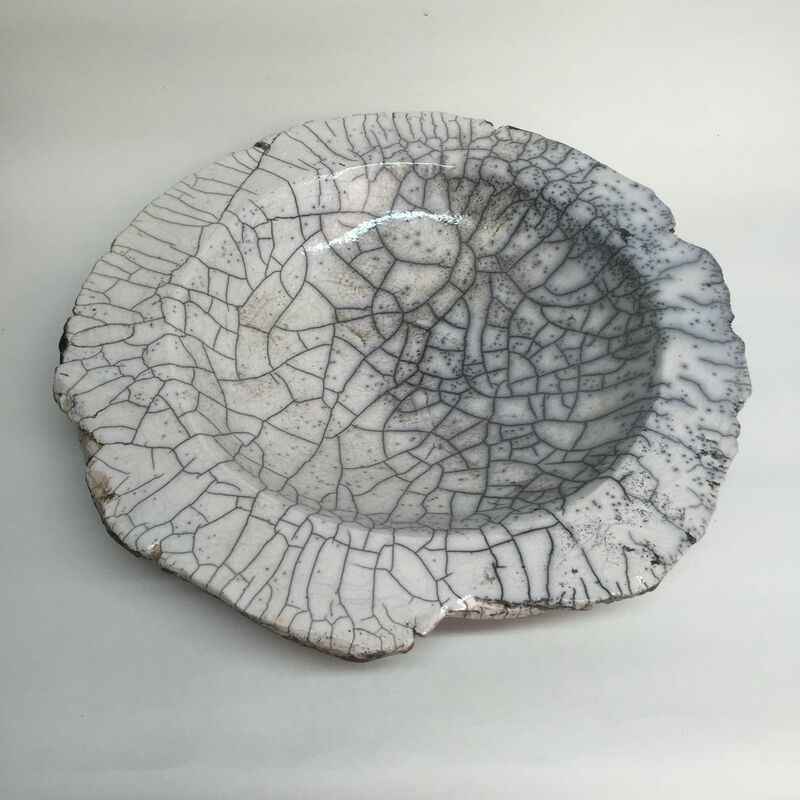 The same applies for glaze firing and creating the craquelure through quenching the still glowing hot vessel in ice-cold water. The secret of soothingly calm shapes, the texture and the colour play is firstly the result of the artist’s long-term experience, and, secondly, it is due to her way of letting things happen. This can only be accomplished by someone who is at peace with herself and the meditative, even spiritual working process and has the courage to face the affirmative and curious ‘letting-it-happen’ in the creative process. Not without reason the artist is, even in Japan, said to have reinvigorated or brought back the spirit of raku ware. 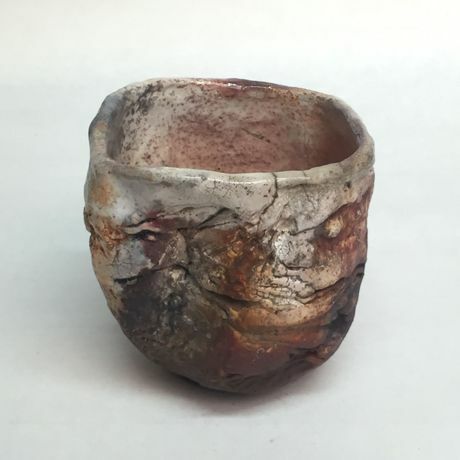 With her vessels, especially the raku ware, Cornelia Nagel manages to breathe her own soul into the dead matter. 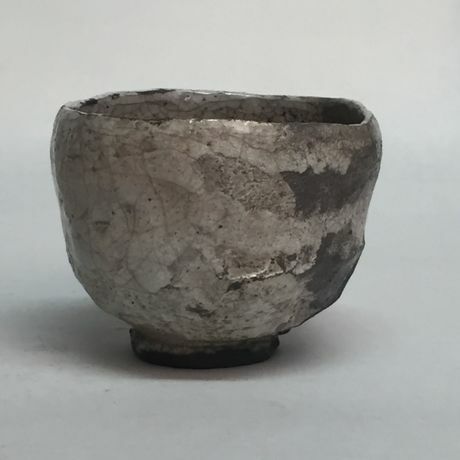 The vessels – originally intended and to be used for the tea ceremony – are much more. They are vitalized and inspired objects shining far beyond themselves and confidently establishing their place in the sensual world of art. Karina Spechter – "Hund und Katze"
Comment on Karina Spechter – "Hund und Katze"